How All Of The O’s Pitchers Were Acquired: 2014 Roster Tree Explains That The Staff Was Created By Deft Transactions! 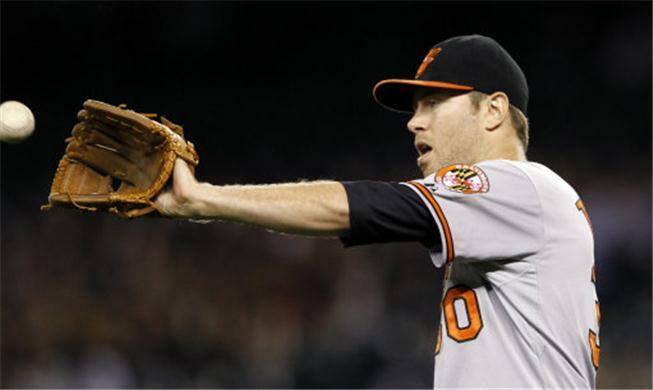 Chris Tillman continues to assert himself as one of the emerging great arms in the American League. The 26 Year Old RHP is 26 – 12 in his last 38 game decisions with a mid 3 ERA. 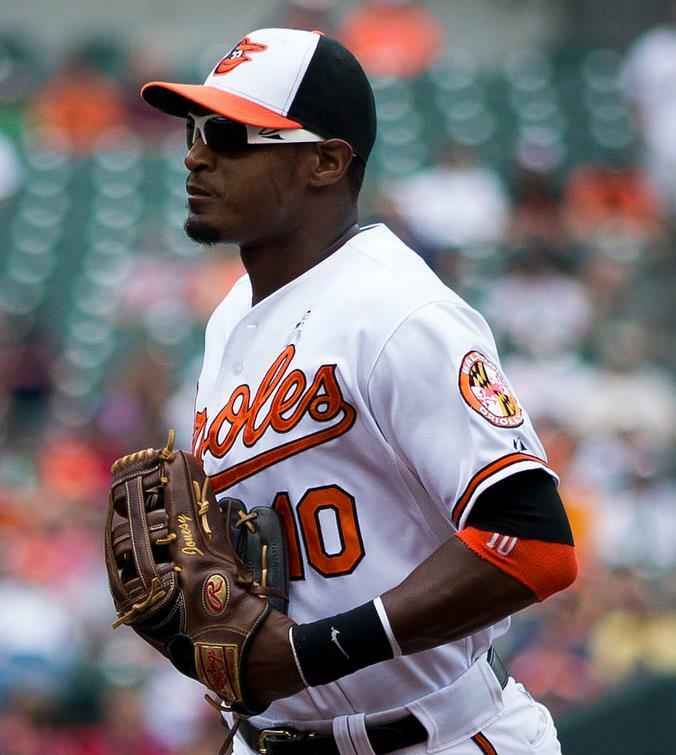 Not bad when you consider he and Adam Jones were brought to Maryland for former Draft Pick Erik Bedard, (who is barely hanging on to professional baseball – and was hurt or average in his Seattle days). That deal and the Tommy Hunter and Chris Davis/for Koli Uehara deals kickstarted the renaissance of this historic club. The O’s made the postseason for the 1st time in 15 years during he 2012 campaign, and now possess a massive lead in the AL East with 35 games to go. The O’s management and brass can take stock in a job well done in building this current group of ballplayers. The Orioles made a swift and blunt move last off season, when they traded their 2012 and 2013 Closer Jim Johnson for Jemile Weeks. The club took some flak in virtually discarding a 101 save man over the last few years to save some money. Johnson was awarded $10 MIL for the year, and has flamed out in Oakland and Detroit since. Those dollars are about what the team receives collectively as a unit. The team was also lambasted for the signing/not signing of Grant Balfour, because a sketchy physical. Again, they have looked good in the transaction. The O’s have done a great job building their Bullpen and Rotation. Chris Tillman was part of the now extremely lopsided deal, which saw Adam Jones for Erik Bedard several years back. That coupled with some waiver claims (T.J. McFarland as a Rule 5 Draft Picks) and former team draft picks – converting in to late inning arms (Brian Matusz and Closer Zach Britton), and you have seen a brilliant molding of a Relief Core. Darren O’Day was claimed off of waivers from Texas, in the same campaign the club also fleeced the Rangers, with the Chris Davis/Tommy Hunter deal for Koji Uehara. Ryan Webb was actually optioned to the Minors, despite decent numbers, while clearing a path for Andrew Miller, as part of a deal from Boston. Miller is one of the better LHP out of the pen in the last year. The team has supplanted the rotation, with a few key Free Agents over the years, starting with Wei-Yin Chen, and Miguel Gonzalez. Kevin Gausman represents the only starter right now that was drafted by the team originally. Bud Norris was brought into Baltimore for a couple of former draft picks and a 2014 RD A compensation pick. The other significant 2013 deal for the staff – was dealing a Minor Leaguer for Brad Brach. Looking at the numbers, Buck Showalter has the right idea in taking Jimenez out of the rotation.Regardless of the contract figures, Jimenez has failed to be that ace that the Orioles expected to get when he signed his 4 YR $50 MM dollar contract in the winter. It’s time to let Jimenez take some time to figure things out, as hopefully skipping a start or two will give him time to work on his mechanics to help get him back on track. This is also familiar territory for the Orioles, as Showalter and crew have had some good success sending guys to the bullpen. Remember, Zach Britton and Tommy Hunter, two of the best arms in the Orioles’ bullpen this season, were starters that struggled, but once they were shifted to the bullpen they seemed to have figured it out and have been very reliable throughout the season.